Seventeen Furlough Fridays? Try Ten Furlough Months! Daniel Dole was Punahou School’s first principal. He served from 1841 – 1854. There is much in Honolulu’s news today about the seventeen furlough Fridays that, driven by declining state revenues, have been inserted into the 2009-2010 public school calendar. Understandably, the cutback is of concern to all and a challenge to the education of the students involved. But, rest assured, this experience is not unique. It happened before in Hawaii, and to the students of Punahou School/Oahu College no less. 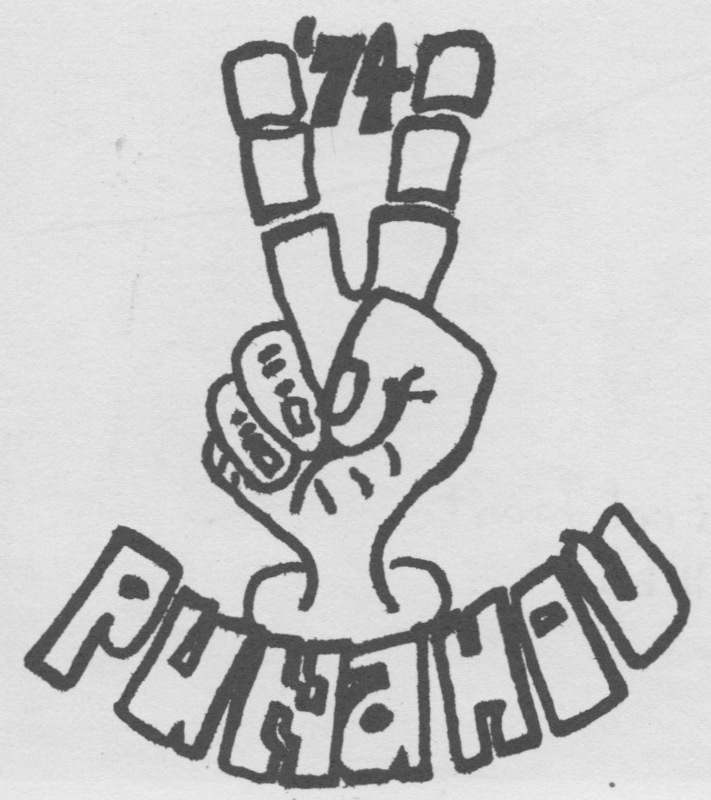 On May 23, 1853 the petition to convert “the Punahou School into a college was granted” and Oahu College became a reality. Hesitation had been expressed by school president, Daniel Dole, and trustees regarding using the name College from the beginning. But advice from the American Board of Commissioners for Foreign Missions, which directed the Hawaii mission, was that the name was necessary if an endowment was to be raised. Edward Griffin Beckwith was the president of Oahu College from 1854 – 1859. Punahou Boys of the Fifties: (Back row) Samuel T. Alexander, Albert B. Lyons; (front row) William H. Gulick, Nathaniel B. Emerson, Thomas L. Gulick. William DeWitt Alexander was the first alumnus to serve as president. He was an Oahu College teacher from 1858 – 1864 and served as President from 1864 – 1871. 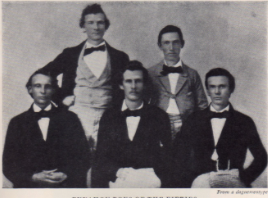 By early 1857 the question of an endowment was considered of such great urgency that the doors of Oahu College were closed. President Beckwith was himself sent to the East Coast to “wind up the business of securing an endowment.” He was also to select a Greek professor, class books for the library, apparatus, and to “get posted up” anew on educational matters. It was while on this trip that former Punahou student William DeWitt Alexander was hired. This began his fifty-five year relationship with the school as a teacher, president and trustee. School did not resume for ten months, until the return of President Beckwith. Some money had been obtained but the school was still without a solid endowment. Tuition, room and board were raised to help cover expenses. It would be more than a century, and several financial scares later, before the school would begin amassing a viable endowment. Editor’s Note: The information in this post was gleaned from Punahou, 1841-1942 by Alexander & Dodge. The book is an excellent reference regarding Punahou School’s first century.